When the economy is in a slump, many companies look towards performing more maintenance instead of building new rooms, moving, or even putting money into brand new things that are needed. This is why the maintenance facility is so important. For instance, the Collier Schools in Naples Florida is planning on spending over $20 million in renovations and maintenance over the next five years instead of expanding. This is the type of situation where Work Order Software would benefit the schools. Whether it's a small maintenance shop that needs help with work orders or a large place such as these schools where all of the expenditures on equipment and work can be kept up to the highest standards of honesty and integrity – maintenance software makes it easier for everyone involved. Not only does it show users life expectancy on equipment but it keeps up with what work orders have been done and what still has yet to be completed. With such a huge maintenance project, it can be easy to lose numbers. 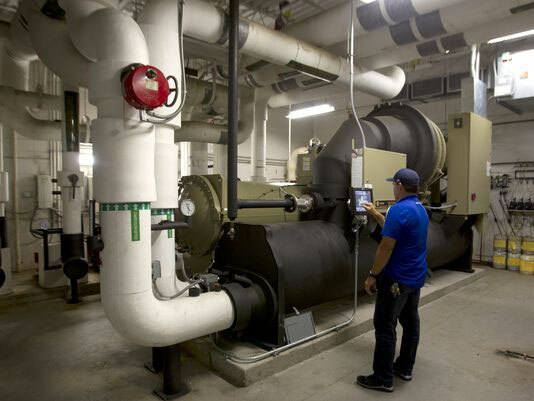 Whether it's a work order that got lost or a piece of equipment that is missing, with Maintenance Facility Software, everything is kept where users can keep track. Even preventative maintenance is easily scheduled so that there is no need for scrambling around on Monday morning trying to decide what needs to be done and who needs to do it. In fact, having Maintenance Facility Software can also make it easier to get the equipment you need. How many times have you had to talk to the Board of Directors or whoever is in charge and try to explain that a certain piece of equipment should be replaced, only for it to fall on deaf ears? With the asset management portion of the software, it can give you an idea of the life expectancy and if that is not enough , it even shows each time the equipment has broken down and had to be repaired. This may show that new equipment is more cost efficient than repairing the same piece over and over again. At the very least it will show that you should have less down time due to the faulty equipment, which saves time and money. Whether you're talking a huge maintenance project or you simple want a way to keep up with your work orders and employees easier, Maintenance Facility Software is perfect for organizing your work life.